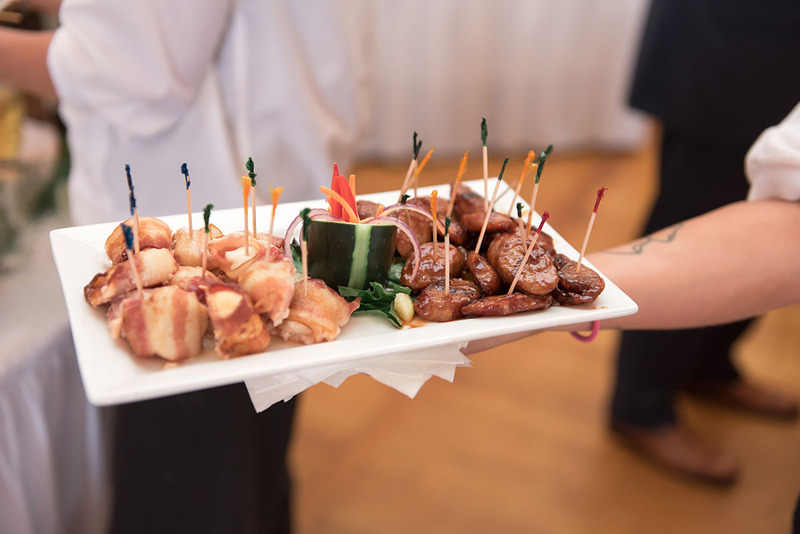 The Chef at Teutonia Männerchor can prepare a wide range of Hors d’oeuvres and Entrees for your wedding an event. Although we excel at authentic German cuisine, our kitchen can prepare a delicious meal that will suit any culinary style. An example of menus from previous events is listed below. For the listed menus, the prices vary. Depending on selection, the hors d'oeuvres range from $ 5 - 15 per person and entrées range from $20 - 40 per person. Drink pricing options are also available for your event as well. Our Chef will work with you to create a delicious meal at a price point that meets your event budget. Contact Us to Find Out More and Schedule Your Event!